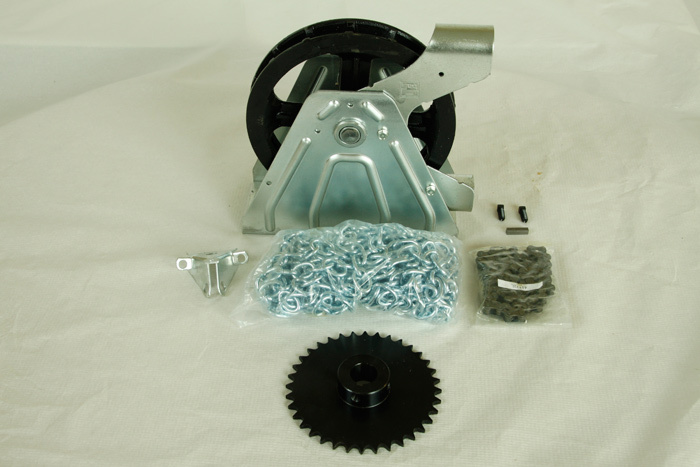 A chain block is used with a manually operated garage door and can be installed on either side of the door. They are secured to the full shaft on which the spring system is secured. Its use is strongly suggested for any door over 10 ft (3 m) high so the door can be operated safely. 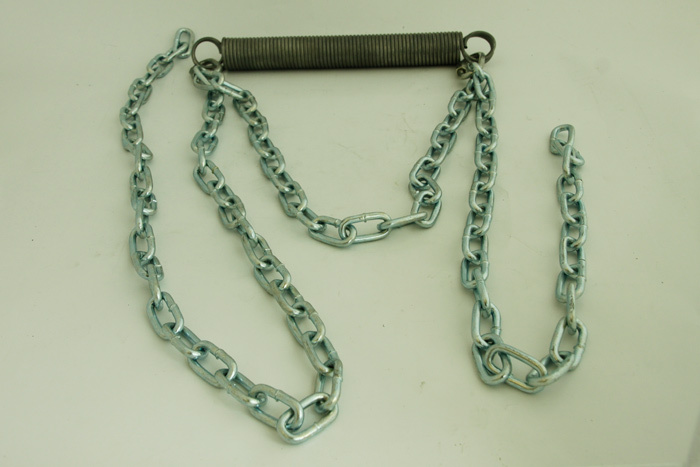 For smaller doors, a pull chain can be used.